This is the story of Annie and Fletcher. Two people who couldn't quite get the timing right for their relationship. They met when Fletcher moved to Annie's small town in Vermont. There was an immediate attraction, but family problems and life long dreams continually got in the way of them being together for more than a few months. Annie's life long passion was cooking and having her own TV show. She grew up in Vermont on a family maple syrup farm - helping all winter long with making and bottling syrup for their company Sugar Rush. Fletcher and his dad move to town where his dad takes over a local mechanic's business. He is hired by Annie's older brother to work at the Maple farm, and he is quickly smitted with her. Annie has dreams of college and life beyond Switchback Vermont, but money and family obligations keep Fletcher there. 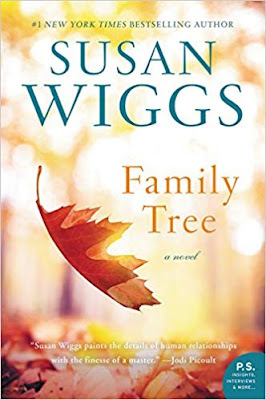 They end their relationship when Fletcher's dad is in a horrible accident and Fletcher has no time for anything but keeping his dad's business together and helping his dad recover. The book flows back and forth between Annie and Fletcher has teenagers and then into the near future when Annie is forced back to Switchback after spending years in LA. Her own accident has brought her back to the care of her family and back into Fletcher's life. As she recovers, she needs to decide if what she had in LA or what she has in Vermont is what she really wants. This was an okay book. Here in Switzerland, the Christmas season is in full swing. So I have started watching cheesy Christmas movies from the Hallmark channel and Netflix - an annual tradition. This book reminds me of those movies. This book reminded me of those movies. A quaint little town brings girl back to where her roots were. A long lost love that is rekindled. A perfect life and perfect love and perfect everything is what this book is about. It is just as cheesy as the movies. It is a quick read, and not solid work, but was kind of fun in its own right. I would not say to run out and read this one, but, if you have a few days as the snow starts to fall and you are looking for something light and mindless - this might hit the spot.